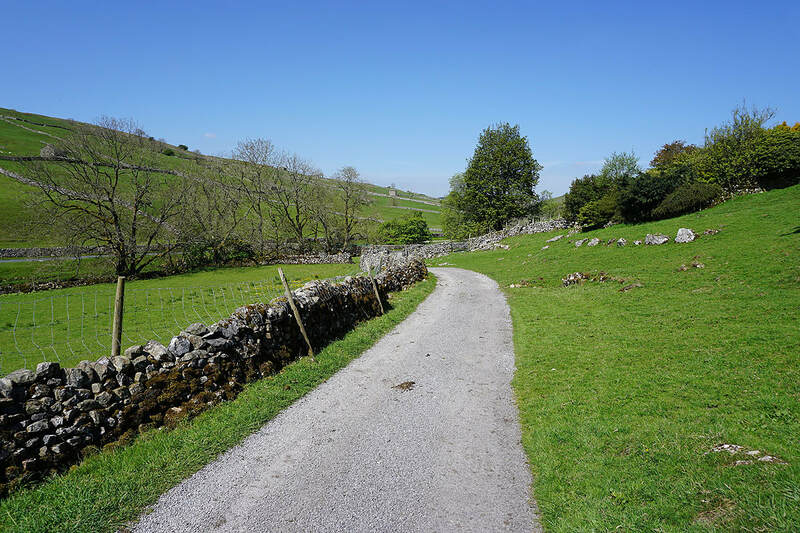 The run of weekends with great weather continues and I'm out walking on another spring day that feels like summer. 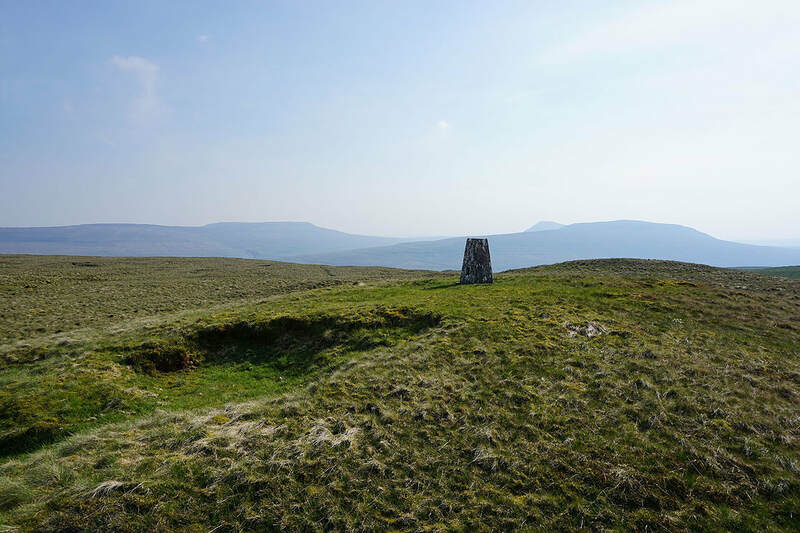 May has been a fabulous month for hill-walking. 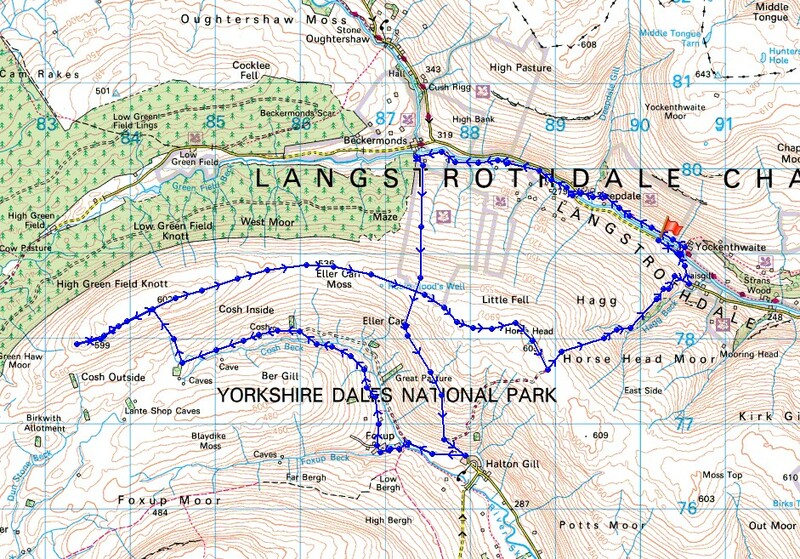 The route that I'd planned for today took in mostly new ground. 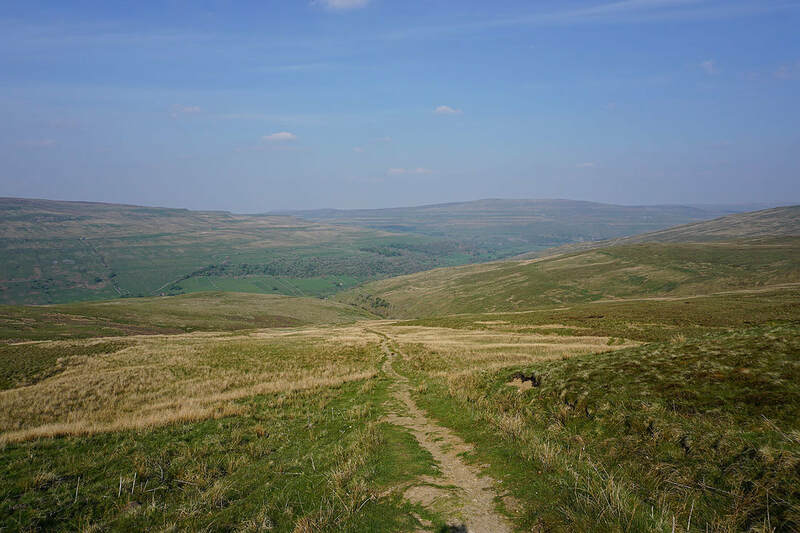 Only the bridleway from Horse Head Moor down to Raisgill Farm was familiar and that was from just a couple of weeks ago. 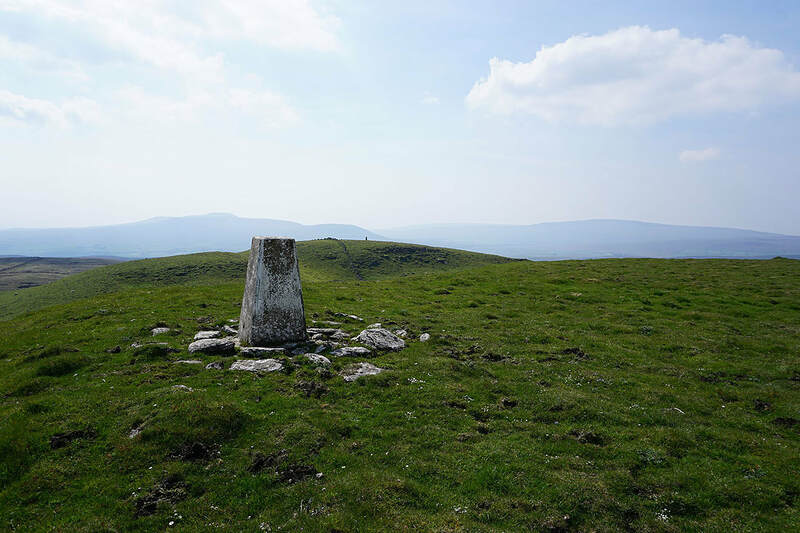 I finally visited the trig point on Cosh Knott, which I'd been meaning to do for some time now. 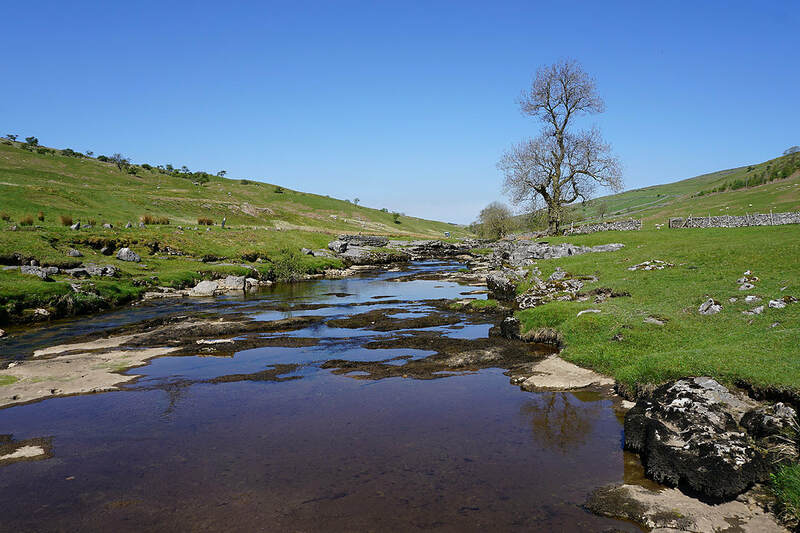 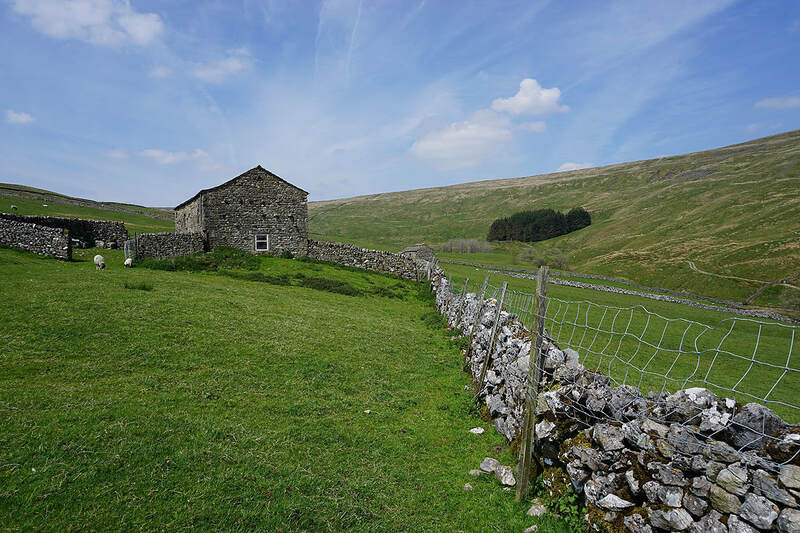 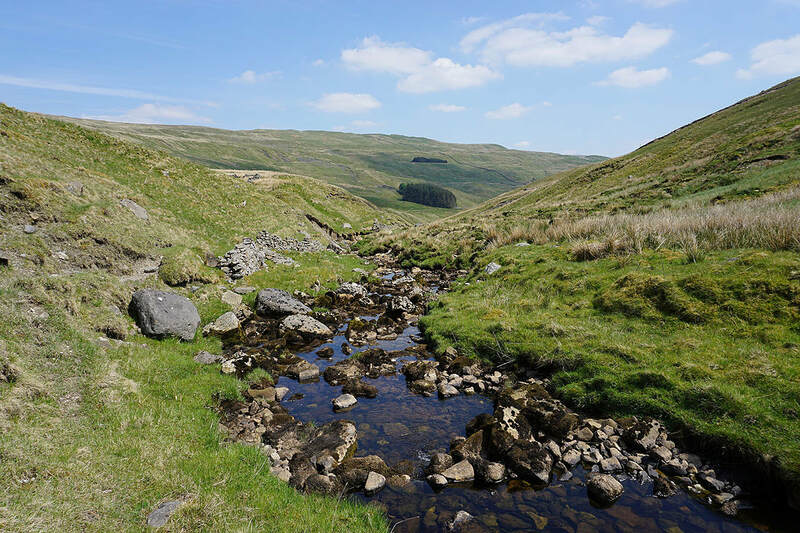 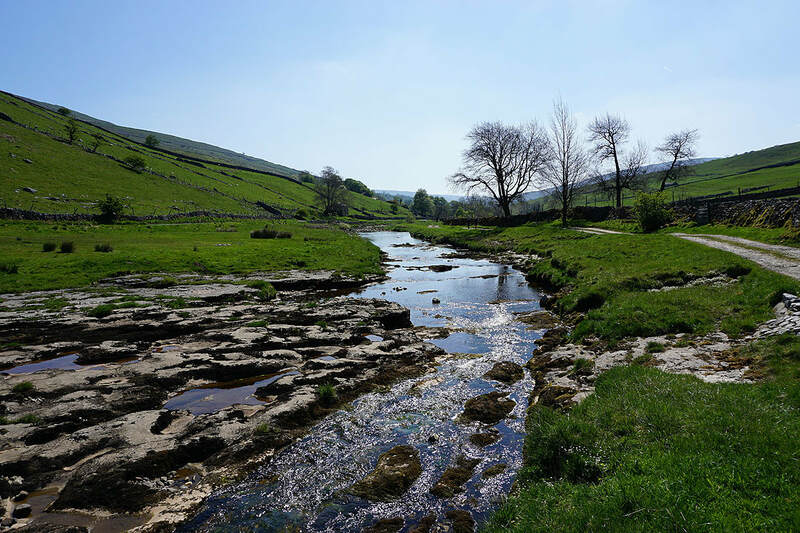 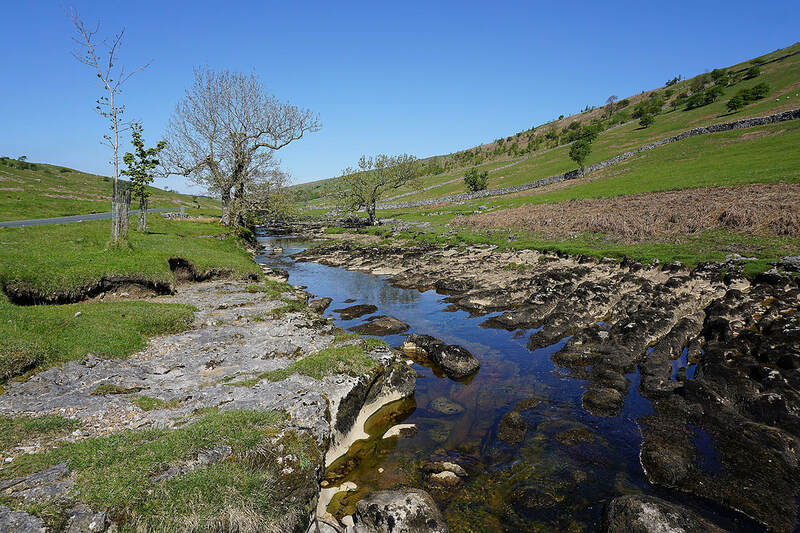 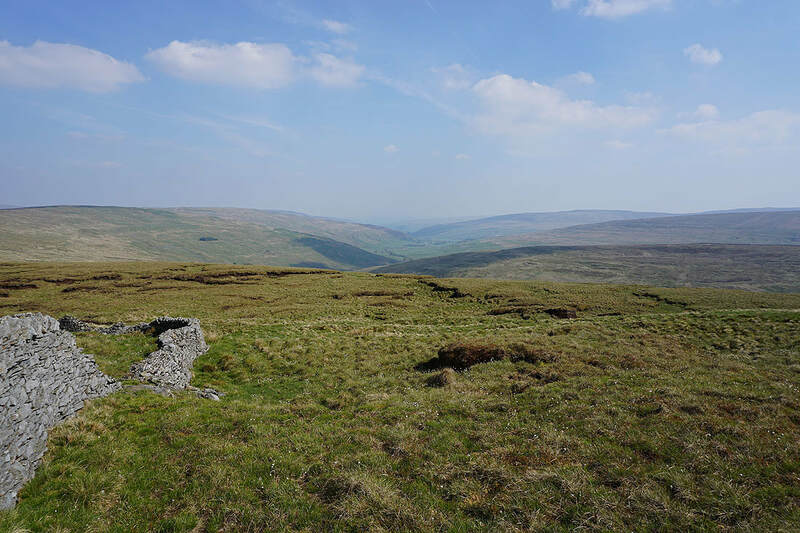 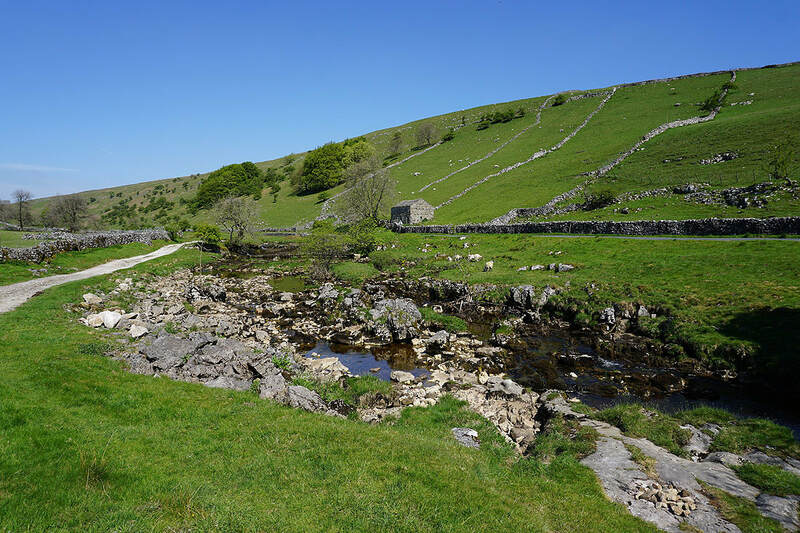 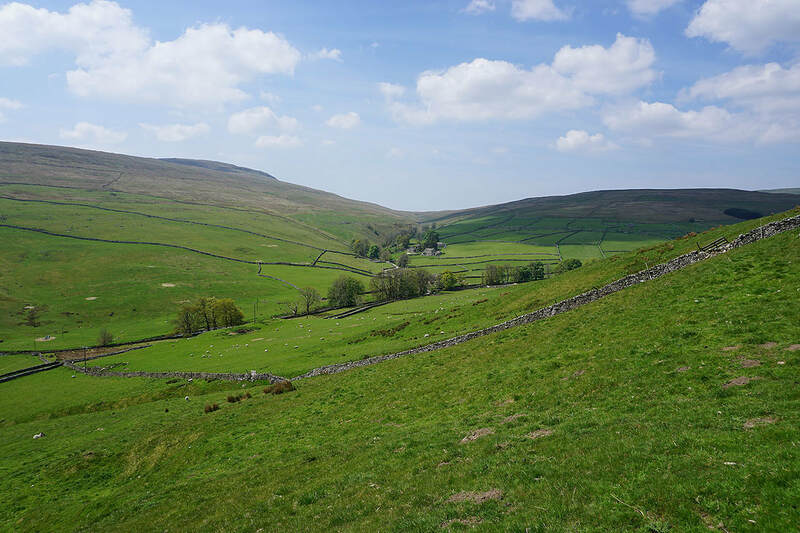 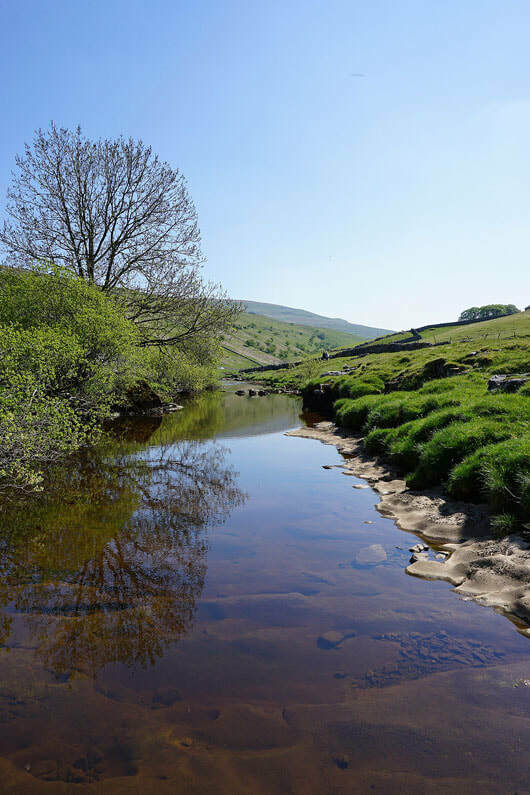 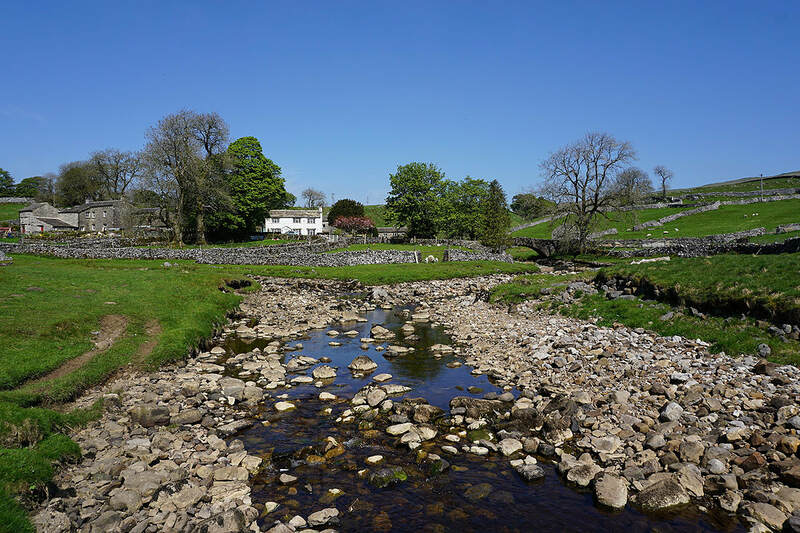 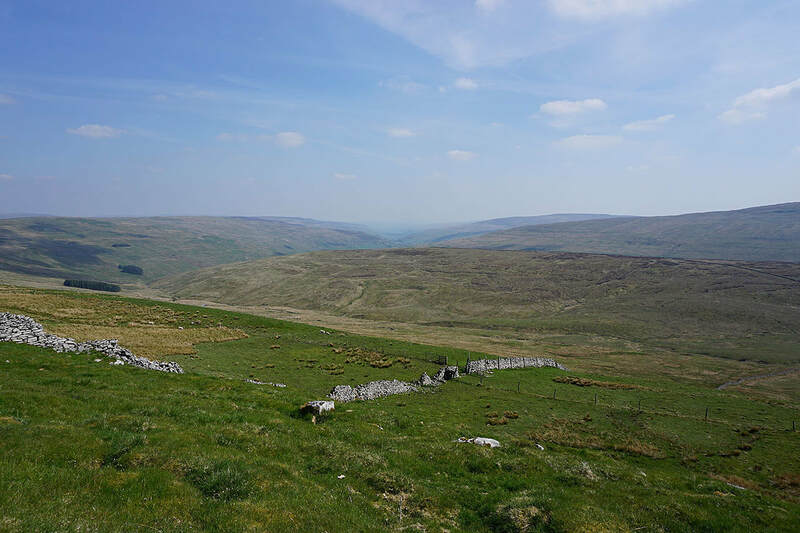 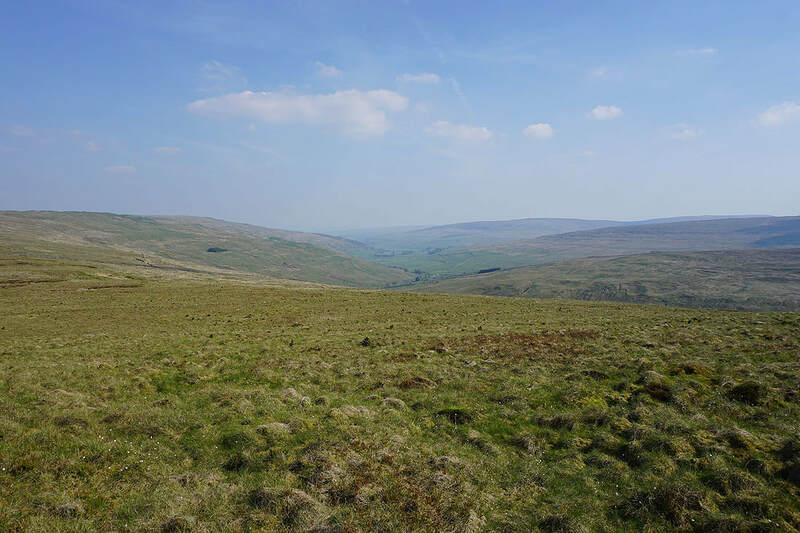 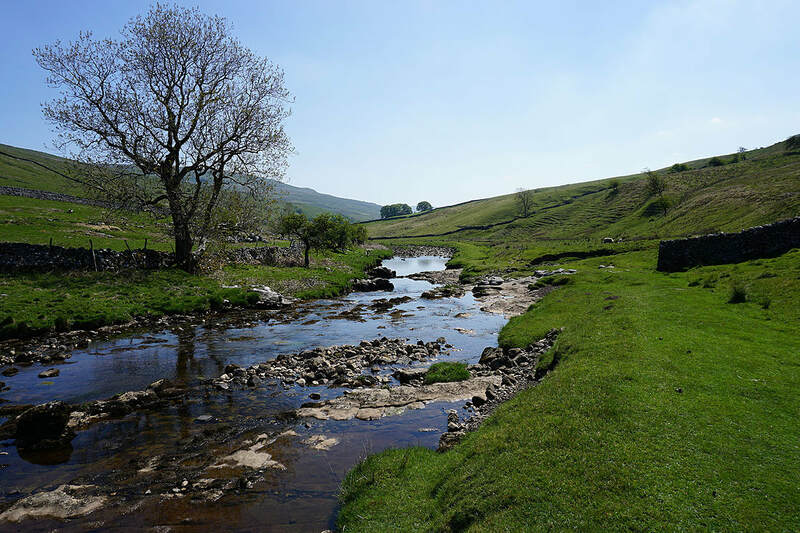 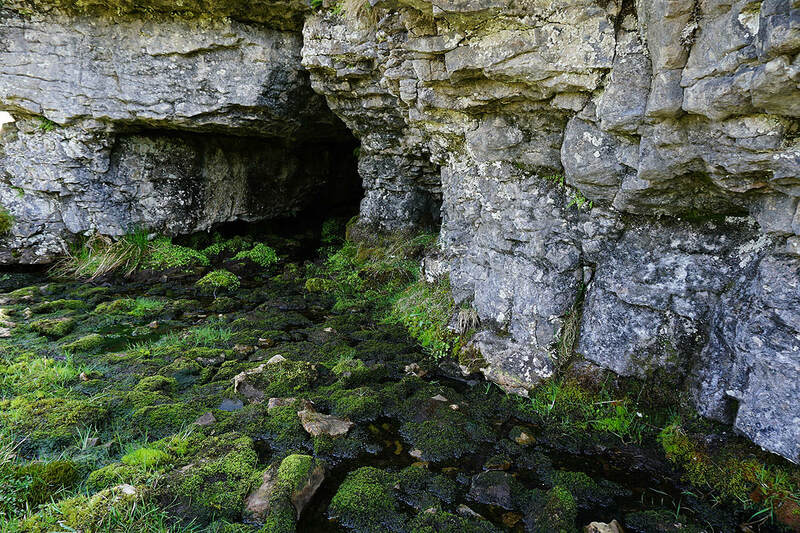 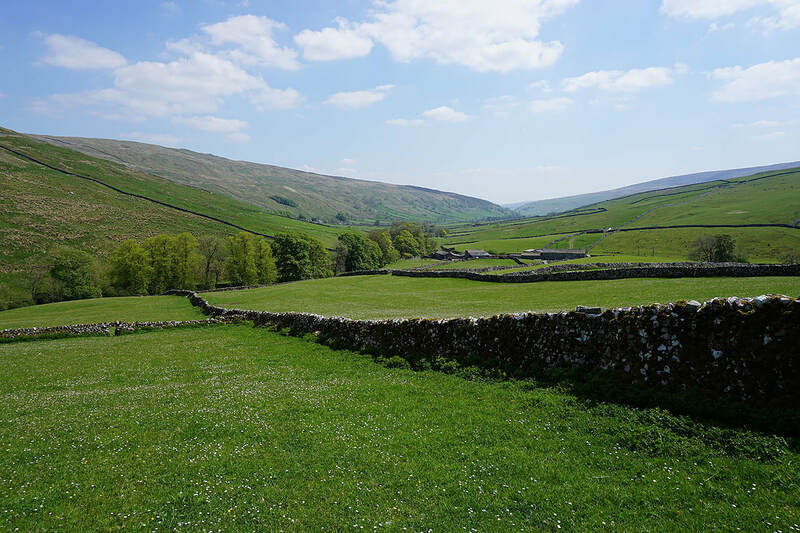 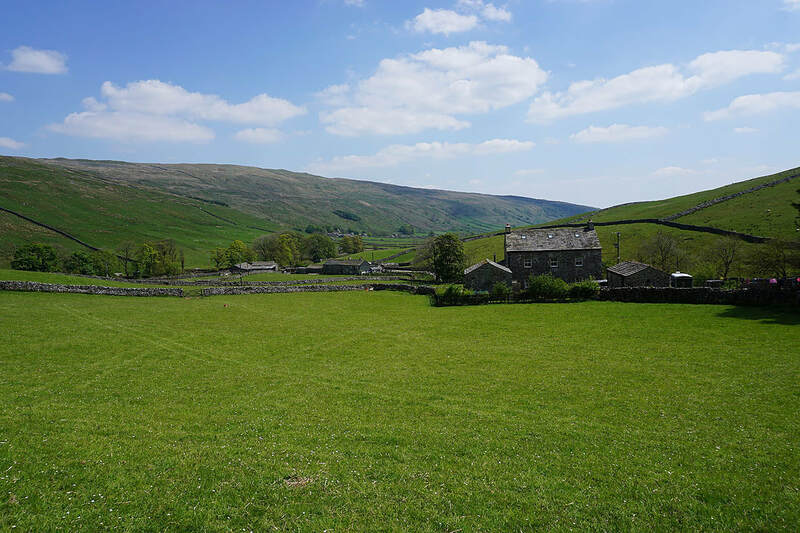 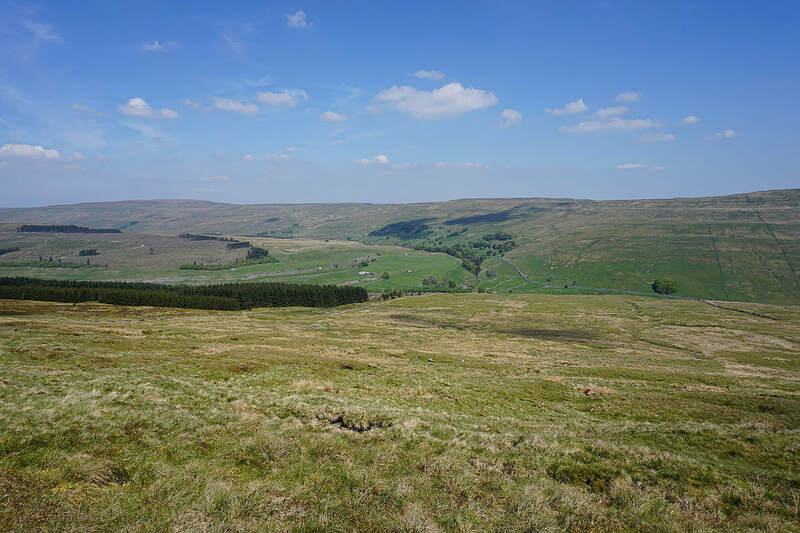 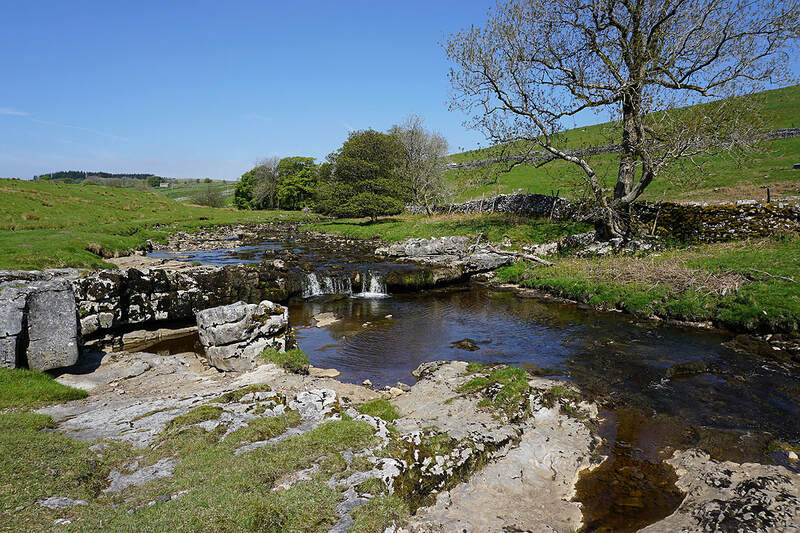 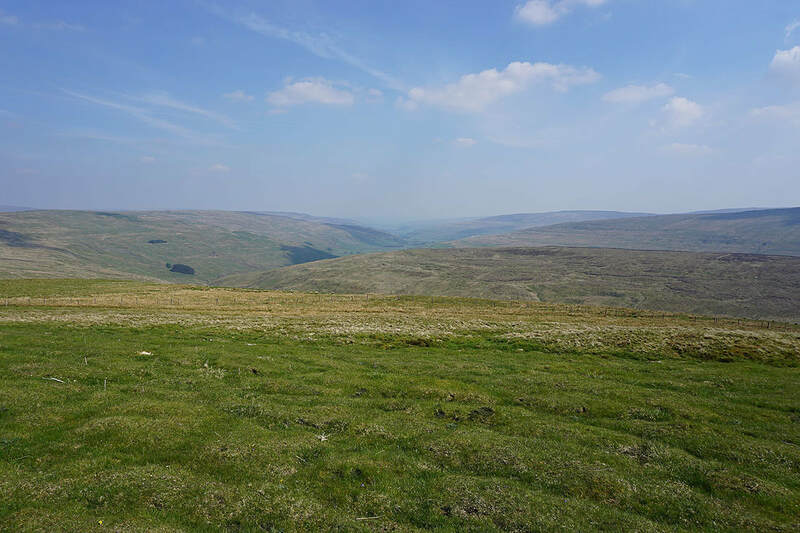 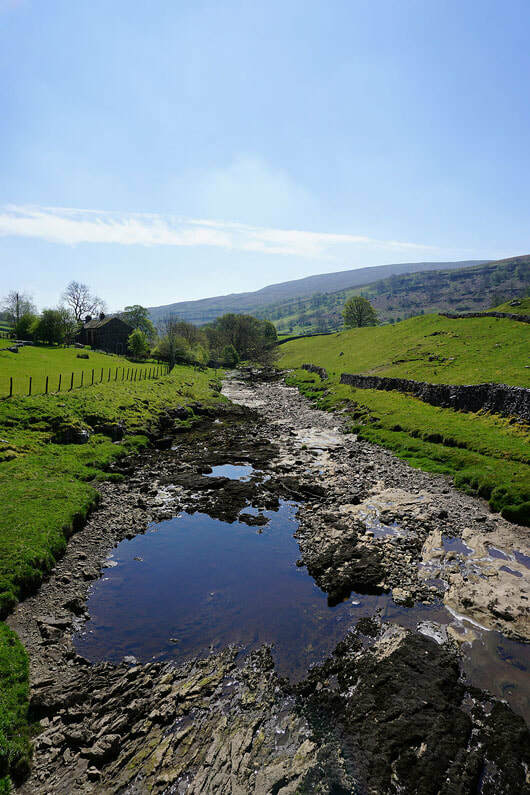 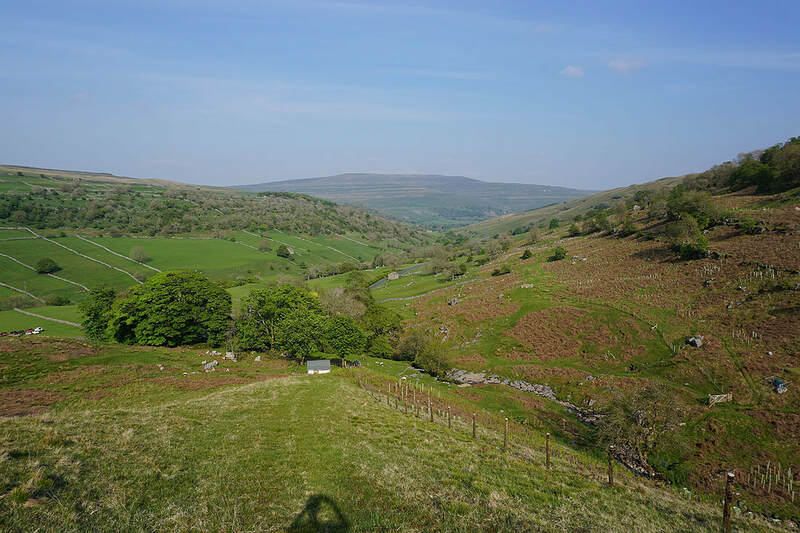 The stretch of the Dales Way from Yockenthwaite to Beckermonds was a joy to follow, Langstrothdale is a beautiful dale; and exploring the top of Littondale and the valley of Cosh Beck wasn't too bad either. 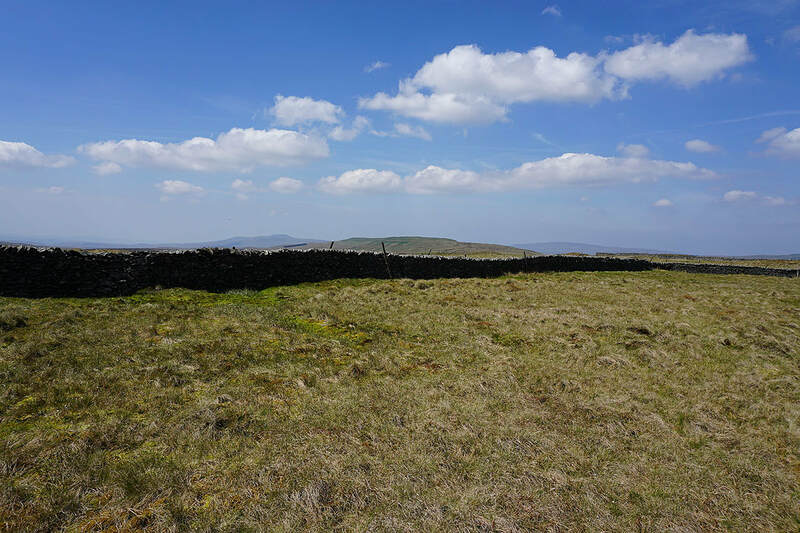 All the warm and dry weather this month has really dried the ground out and made the moorland part of the walk much easier than it could have been. 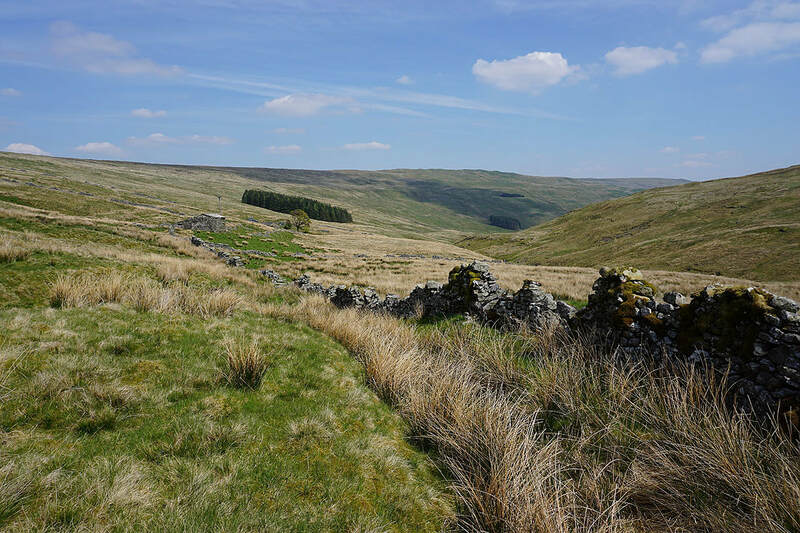 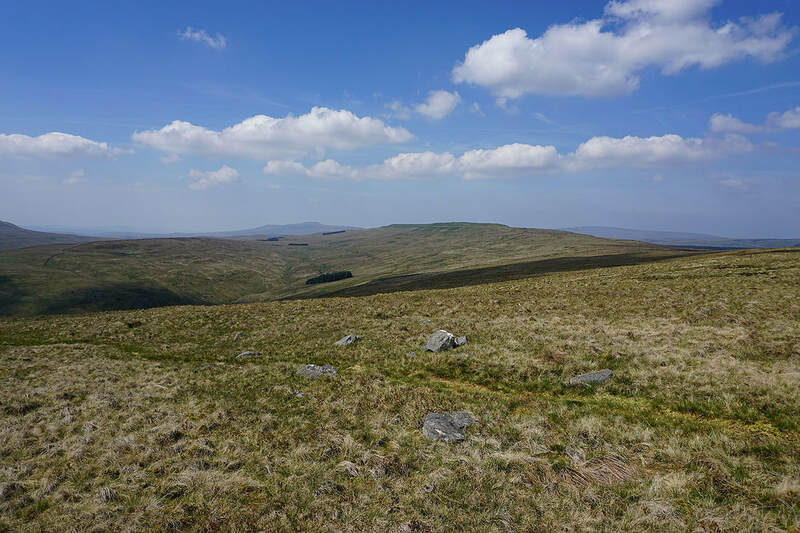 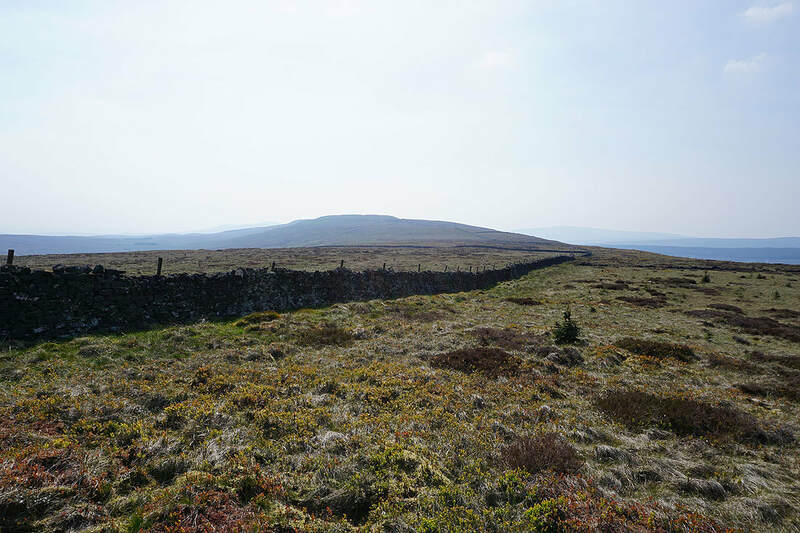 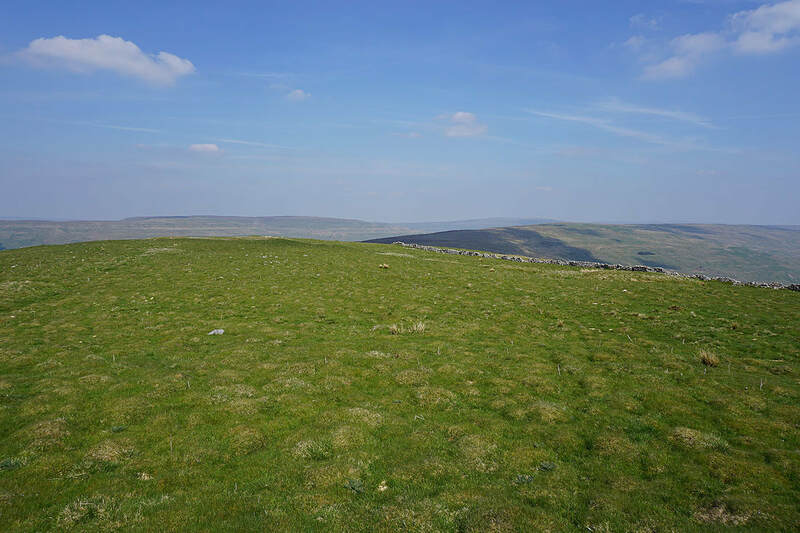 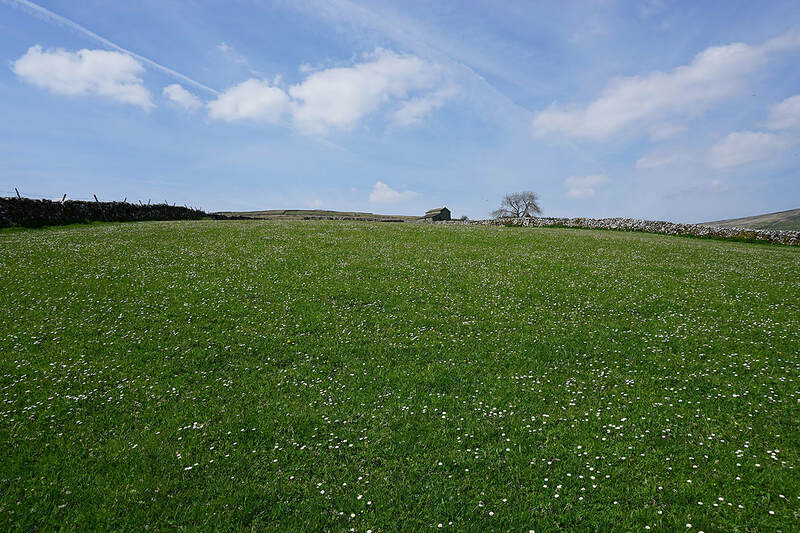 It was a warm and sunny day with a little fair weather cloud developing by the afternoon and a brisk breeze up on the moors. 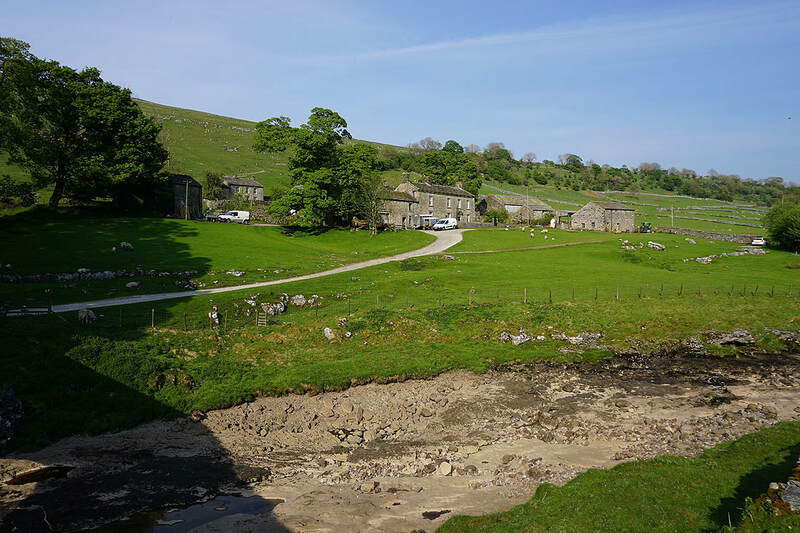 From where I parked on the grass verge at Yockenthwaite I crossed the bridge over the Wharfe and followed the trail of the Dales Way west to Deepdale and on to Beckermonds. 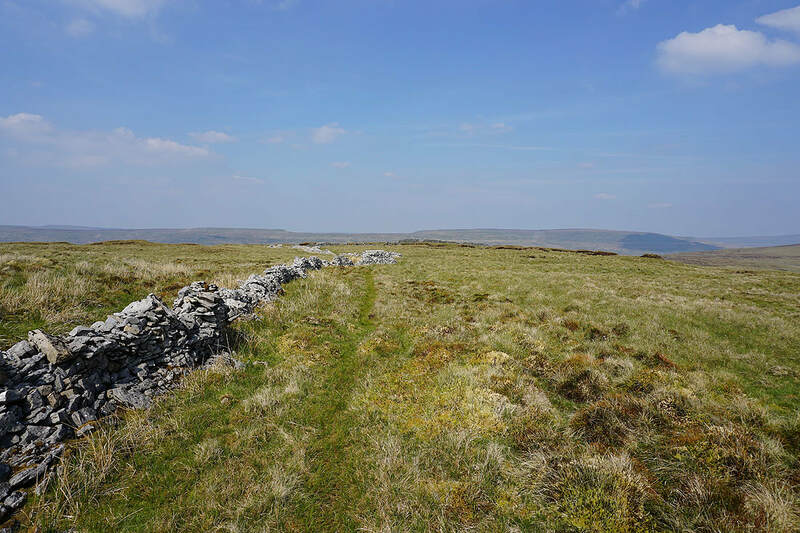 Here I left the trail behind and took the footpath across the moor and down to Halton Gill, where I stopped for lunch and took refreshments at Katie's Cuppas. 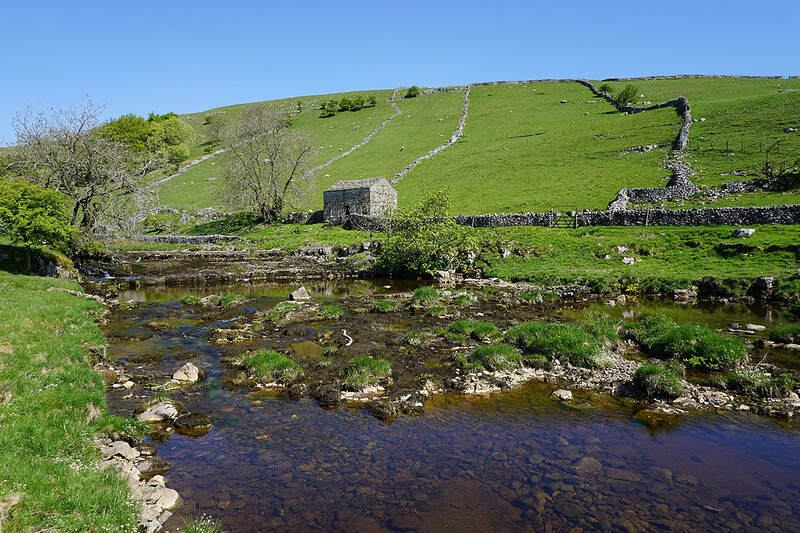 I then walked along the road to its end in Foxup and took the footpath past Harrop Barns and into the valley of Cosh Beck to reach Cosh House. 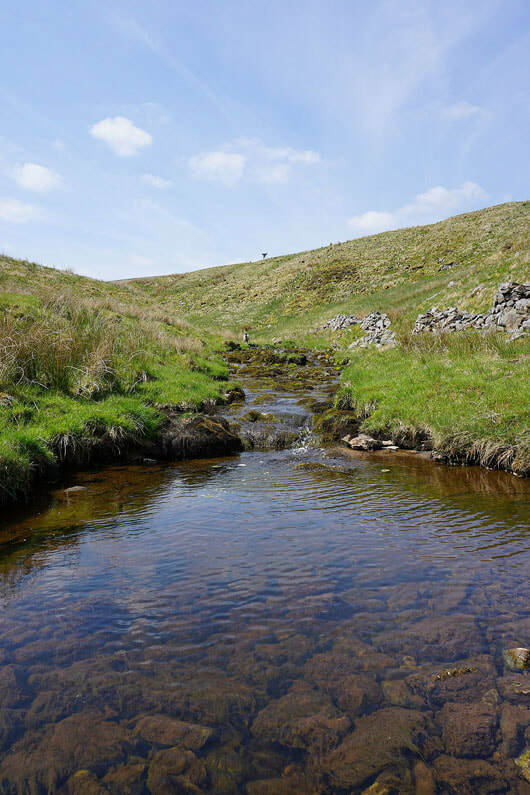 Past Cosh House and there's a quadbike track to follow for a while until this peters out and then I just followed Cosh Beck to its source at Cosh Beck Head. 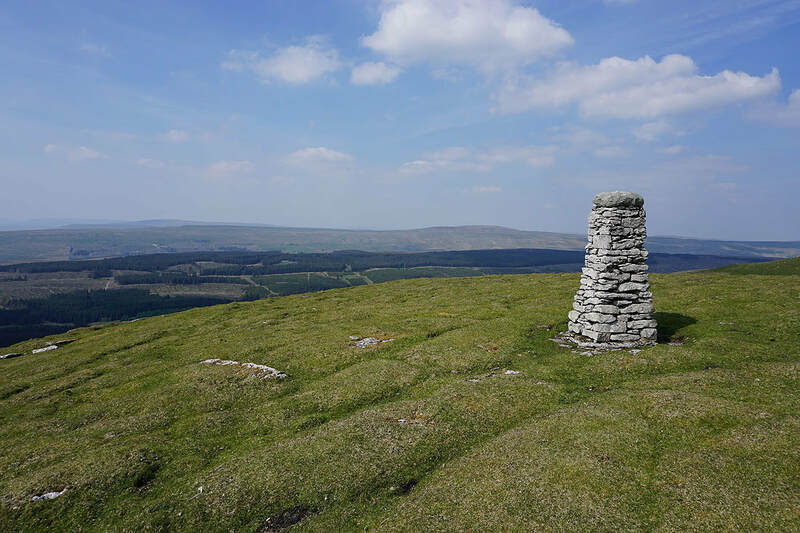 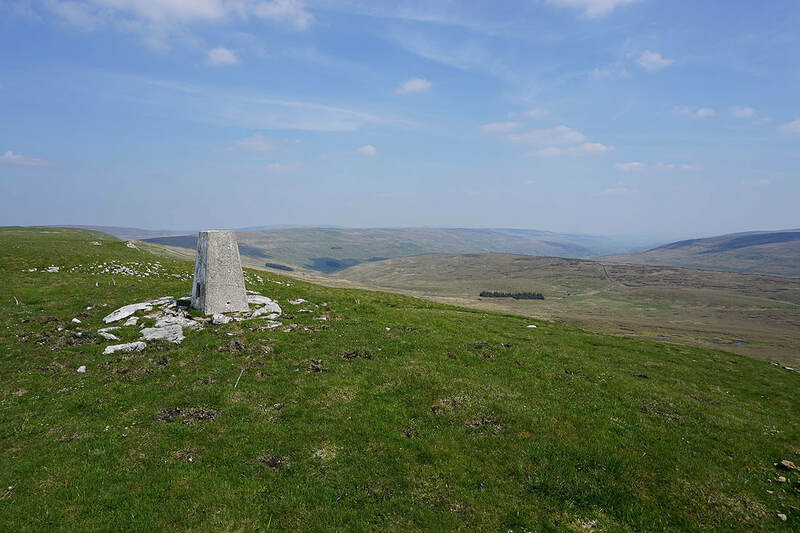 I then made my way north by a wall up onto the moor and then west to its end at Cosh Knott and the trig point and pillar there. 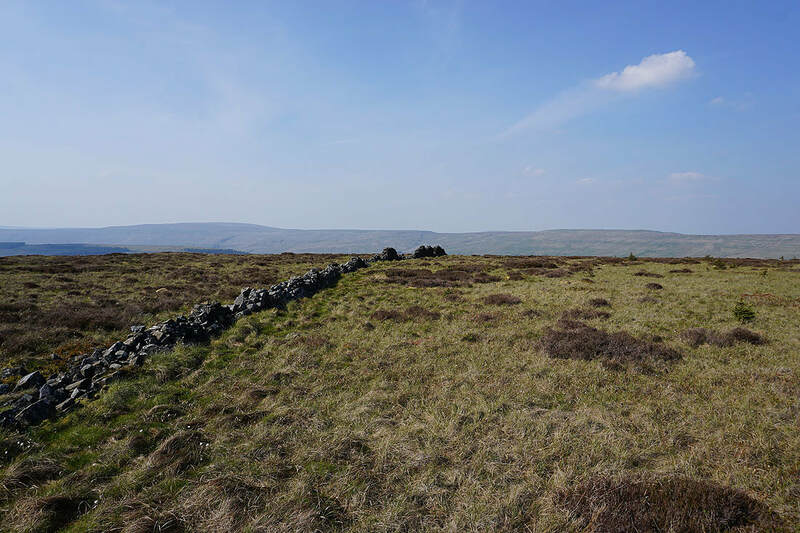 After a final break here I walked east along the crest of the moor to High Green Field Knott, down to Eller Carr Moss and up onto Horse Head Moor. 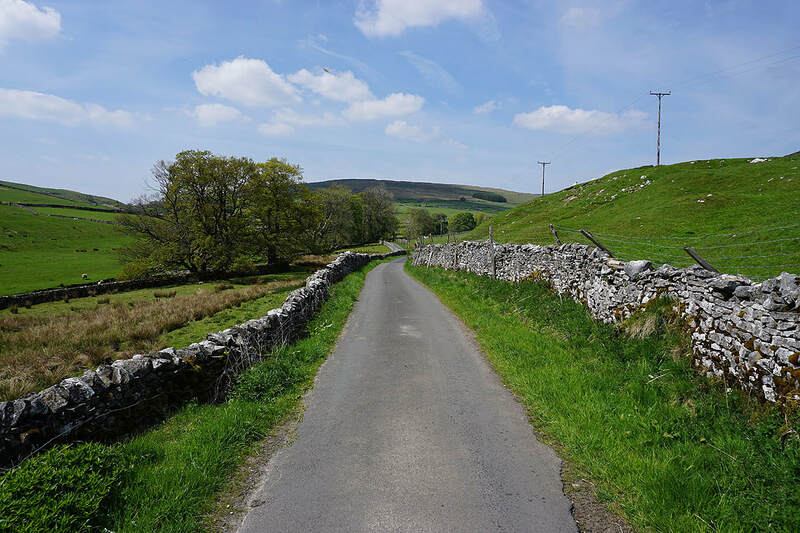 I was then left with following the bridleway down into Langstrothdale from Horse Head Gate to Raisgill Farm and a walk along the road to where I was parked near Yockenthwaite. 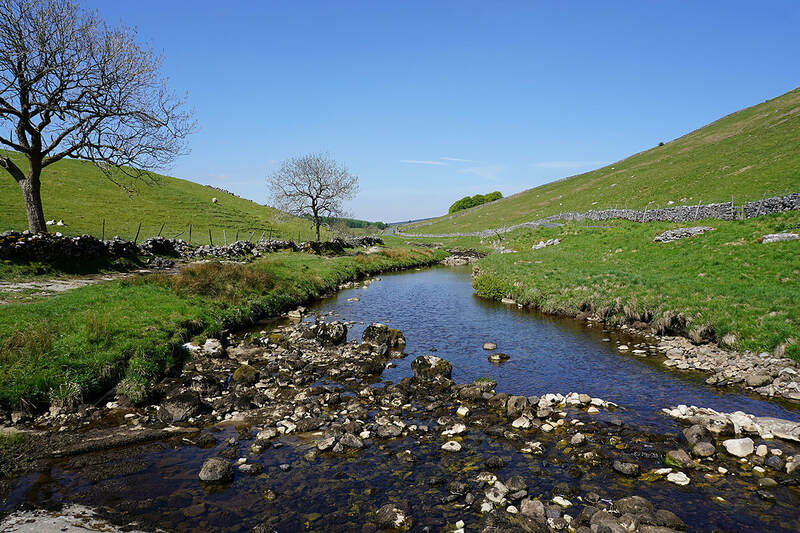 and again with the valley of Cosh Beck now in view. 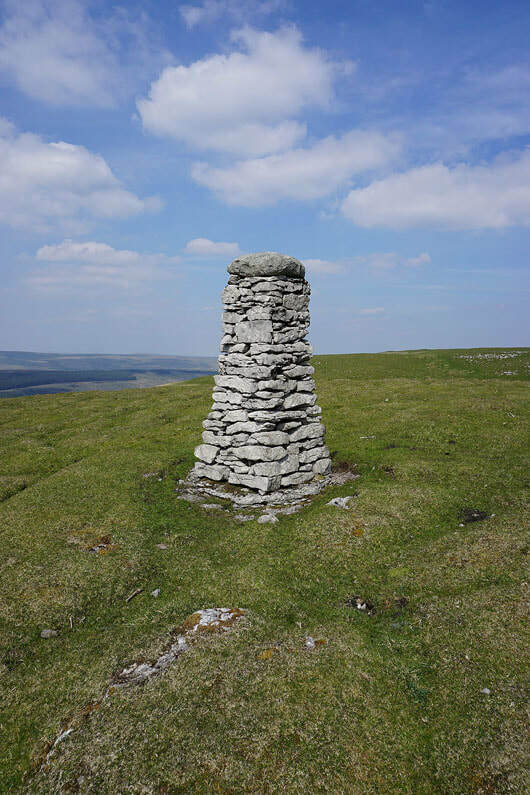 I'll be walking up that later in the day. 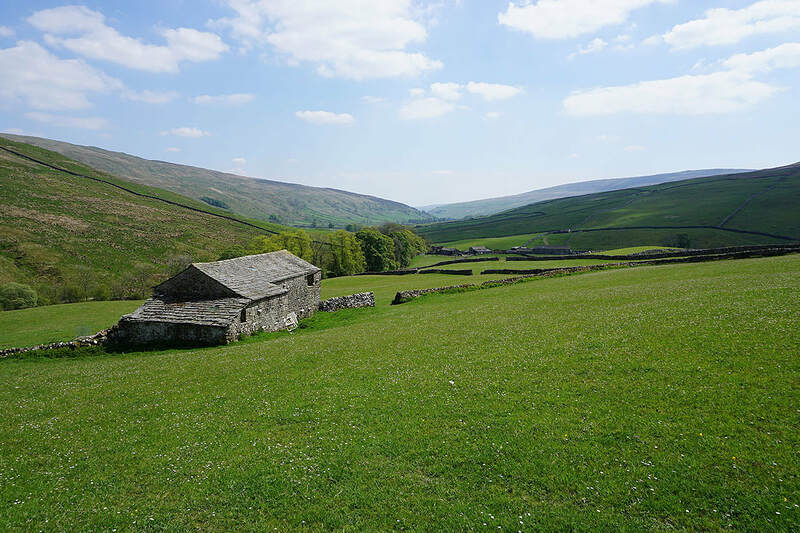 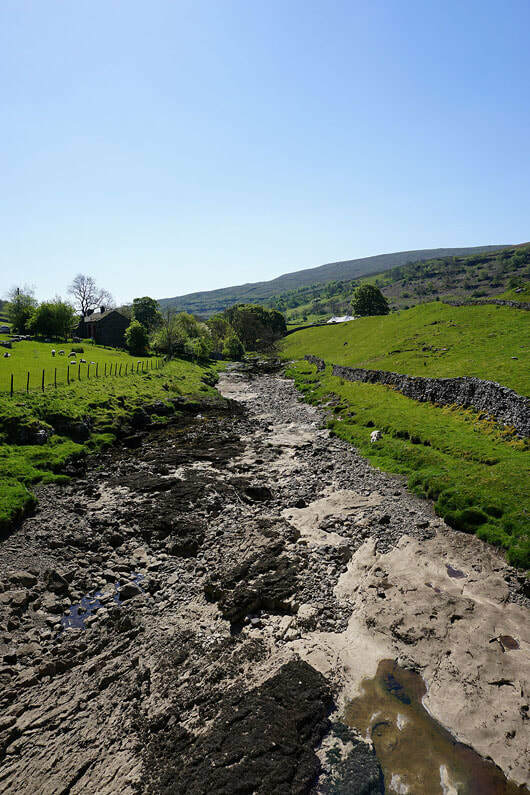 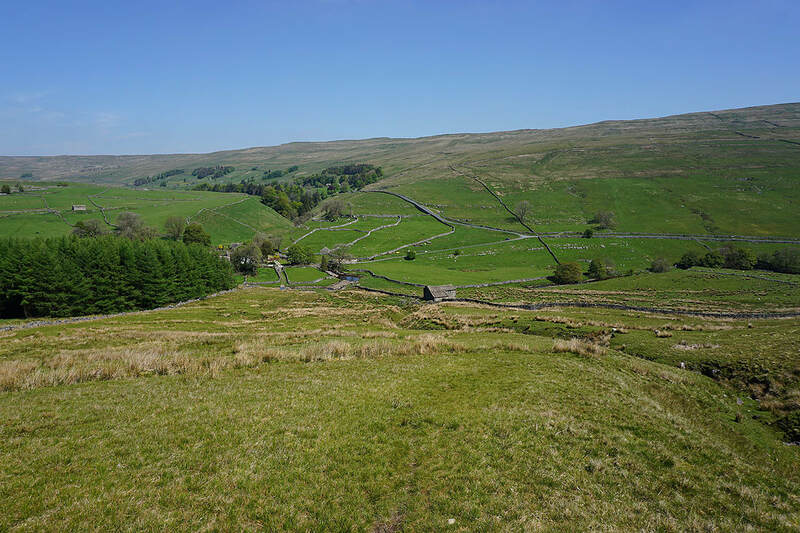 A couple more photos looking back to Foxup and down into Littondale..
By Cosh Beck as I follow the path to Cosh House.. 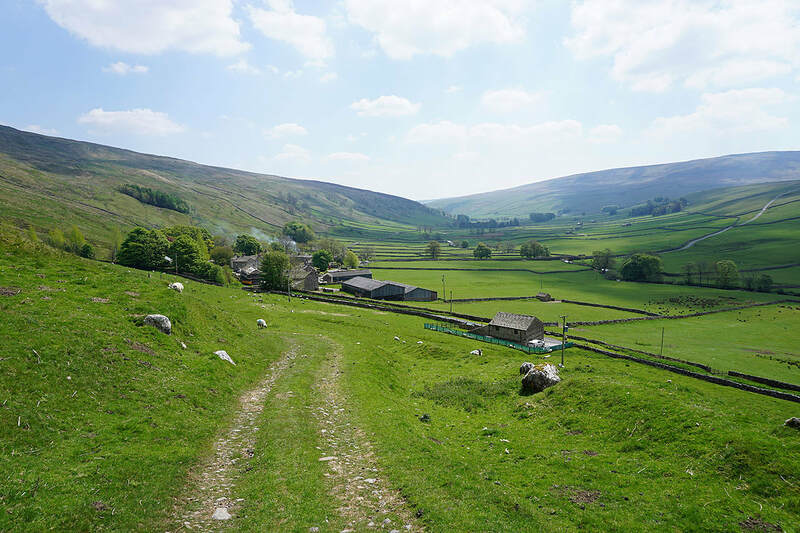 Looking back as I near the top of the valley of Cosh Beck. 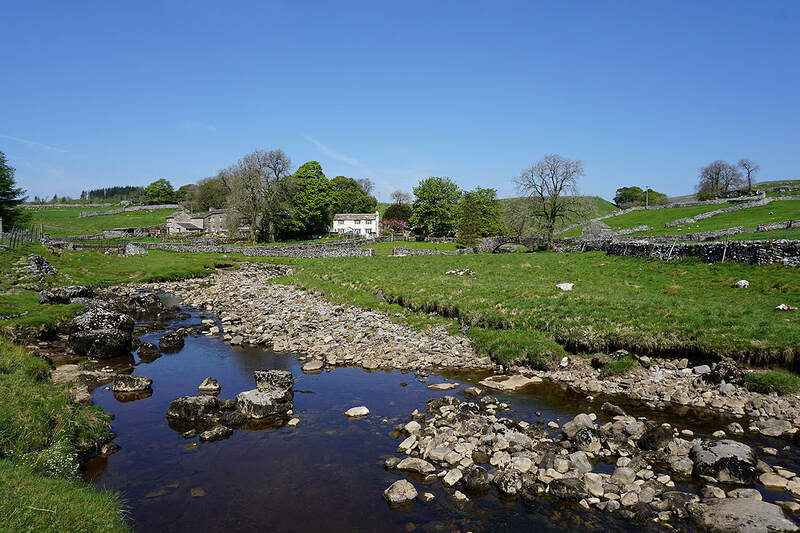 Cosh House is by the lone tree. 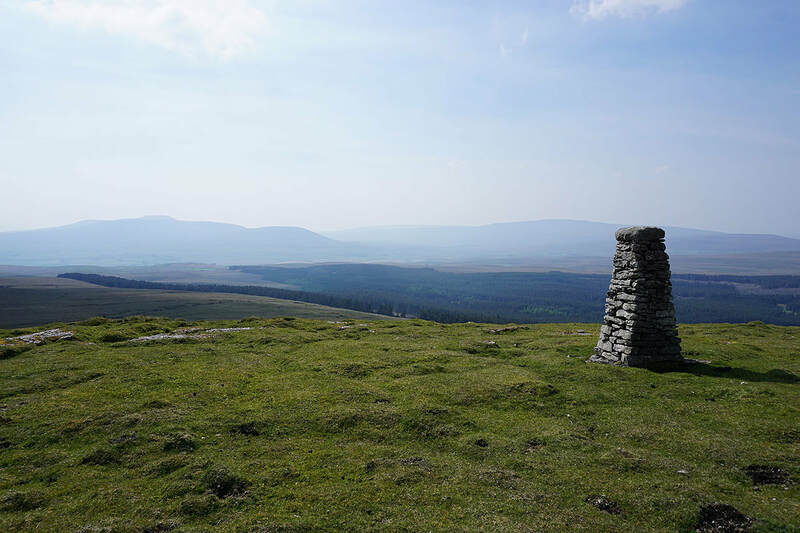 A short time later and I'm there. 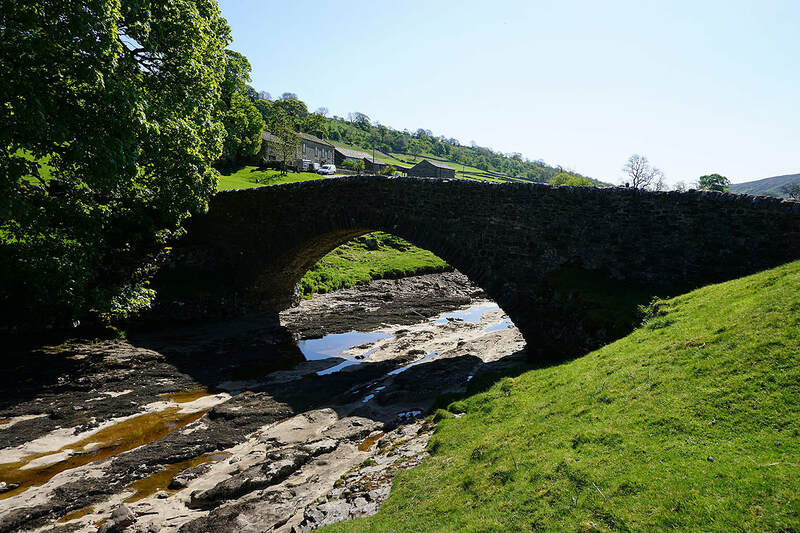 It's certainly well built. 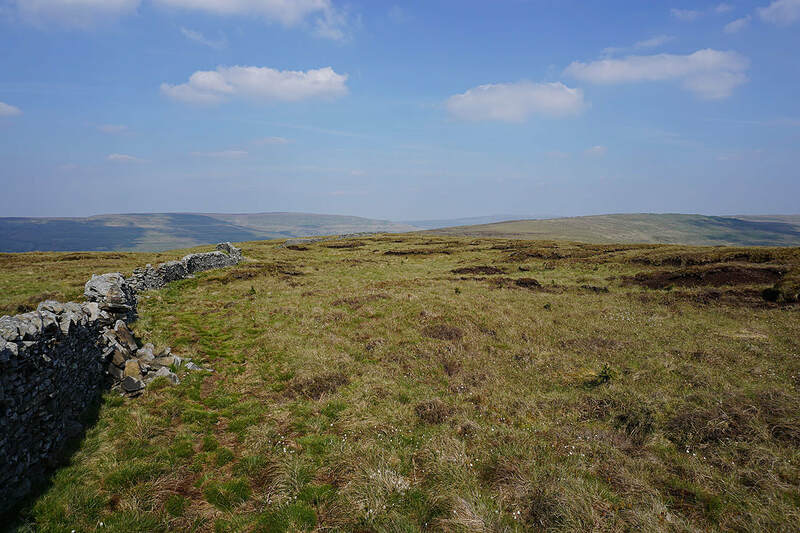 On the unmarked top of High Green Field Knott. 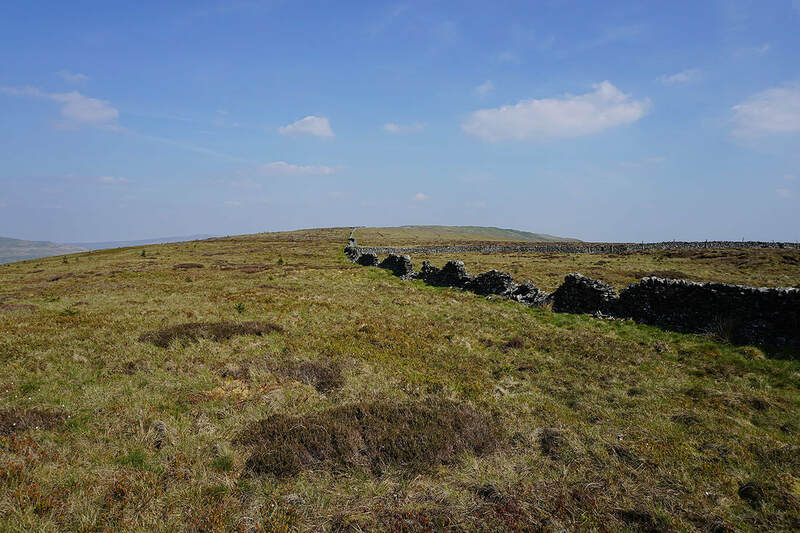 Time to follow the moorland crest east to Horse Head Moor. 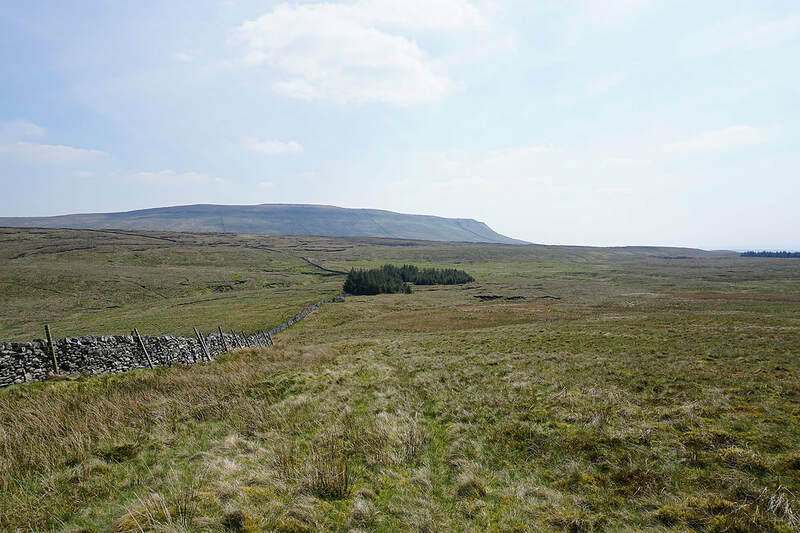 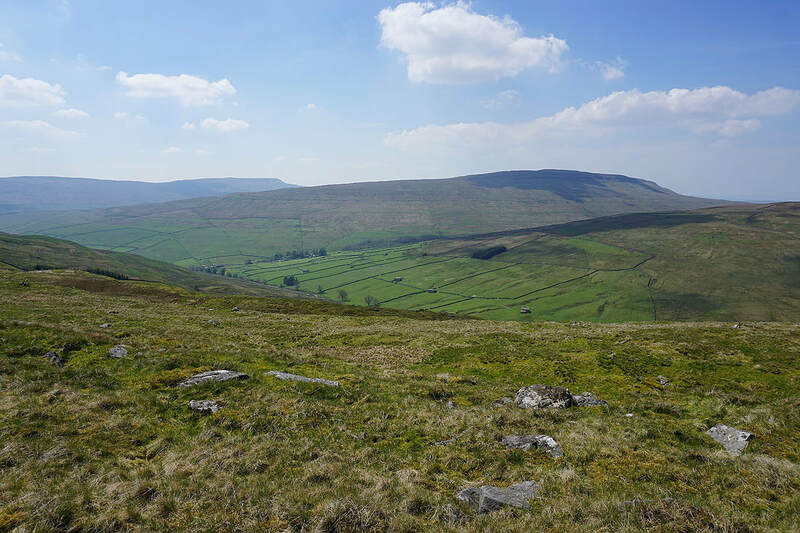 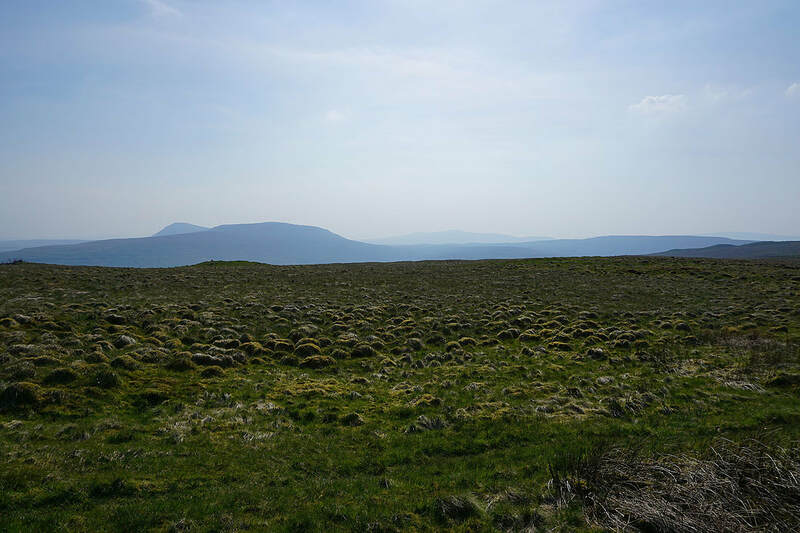 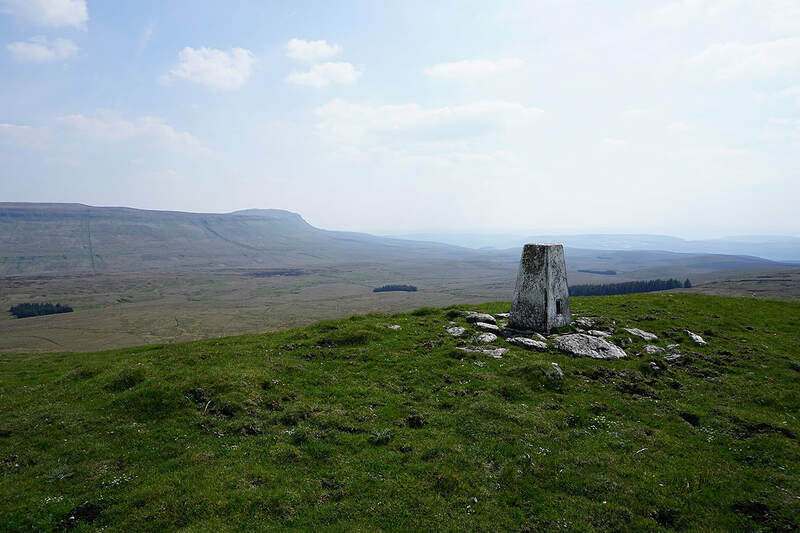 A hazy Fountains Fell, Penyghent and Plover Hill. 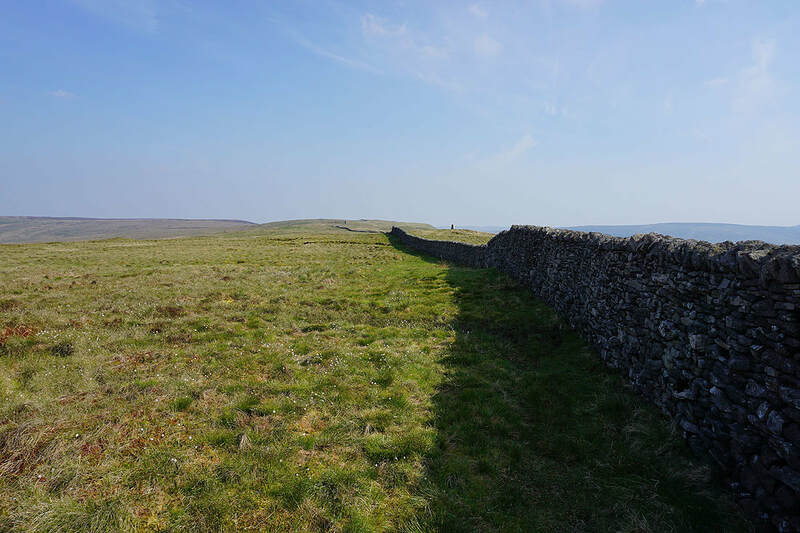 I've stayed this side of the wall to take this photo and the one below. 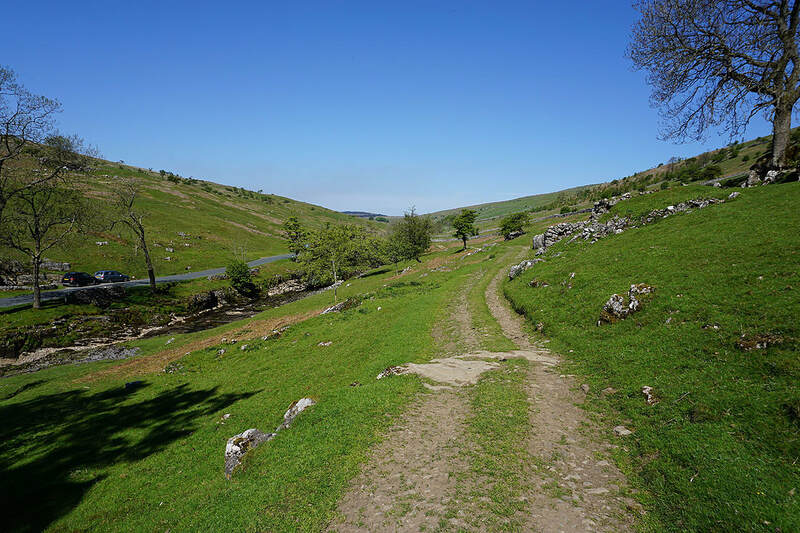 On the bridleway down to Langstrothdale..